This summer, the ICO and the incredible queer feminist film collective Club des Femmes took on a mission to bring revolutionary films about women, by women, to big screens across the UK. The result was Revolt, She Said: Women and Film after ’68, our groundbreaking tour of nine features, eight shorts, brilliant panel discussions and guest speakers that took thirty venues by storm. We spoke to some of our collaborators about what they found most memorable about their screenings, how it helped them reach new audiences and why the tour’s legacy still lives on. A very specific moment that has really stuck with me was when Dr Monica Pearl came and introduced our screening of Before Stonewall. We had about 110 people in so the cinema felt alive and exciting. She spoke so poetically, with such confidence of mind and this weight of experience, it was beautiful. She shared a quote by congressman John Lewis which was “Do not get lost in a sea of despair. Be hopeful, be optimistic. Our struggle is not the struggle of a day, a week, a month, or a year, it is the struggle of a lifetime. Never, ever be afraid to make some noise and get in good trouble, necessary trouble.” Her words carried through the space and it left me feeling better than I had felt before she took the stage. That’s such a lovely gift to share with an audience, I felt very proud to, in any small way, be involved in making that event happen. For us, as a cinema with more than 100 years under our belt I feel like sharing these stories allows us to do two things simultaneously. It allows us to recognise we are a remnant of the past, a heritage space that feels a little outside of time, but it also allows us to engage in and support debate that is relevant and important to audiences now. It allows us to be both old and new at the same time. I think these events allowed us to work with partner organisations, like Leeds Queer Film Festival, which is one of the most effective ways for us to engage with new audiences. Not only was I struck by how full the cinema was for a screening of Before Stonewall, the 1984 film about LGBT history, but also by how many people wanted to stay and talk about it afterwards. Although there was no post-show event, I was approached in the foyer of the grand old Hyde Park Picture House Cinema in Leeds, to talk more about the film, about our history, and for clarification on the further reading I mentioned in my intro. This is precisely why it is so important to share these kinds of stories in cinemas. It creates a gathering of like- or similar-minded people who may nevertheless be very different in attitude, age, demographic, or experience who are eager for intelligent discussion outside of an academic arena. I am not sure if it brought new audiences to that cinema, but it created a gathering that, without that screening, would not have happened. We could easily call it, therefore, a political event. The Star and Shadow Cinema, our volunteer run cinema is a joy to behold when the theatre is full! The two screenings we did as part of the Revolt, She Said tour were both sold out and the atmosphere for both events was amazing. Carry Greenham Home inspired impromptu sing-a-longs as well as sparking new activism – oriented conversations between audience members who had travelled to us from all over the North East region, and A Place of Rage brought local poets, filmmakers and fans, queers and students together for a prescient and moving film that we may have to try and screen again, it was so popular. People were inspired, I think, by the combined effect of the radical potential and freedom that a DIY cinema exudes and the focused, varied and brilliant Revolt, She Said programme. It helped me reflect on how programming films in ‘seasons’ or curated packages really helps galvanise different communities and bring them together to the space and spirit of cinema. An especially poignant moment for me was Open Clasp Theatre Director Trina McHugh’s description of her time at Greenham Common, when her brother who was in the army was posted to the Greenham military base at the same time. It brought home issues of class, gender and the divisiveness of Greenham with humour, humanity and love. Sharing these stories and these films is so important, because women filmmakers are fighting hard enough just to do their work, and not necessarily having an eye on their legacy – as Sarah Turner said in her intro to !women art revolution!, at the Barbican last year – part of the amazing B Ruby Rich season. We as programmers can do this work of honouring and creating legacy. What was memorable to me about our screening at the Lexi was So Mayer’s introduction to Daisies, as part of the Lexi Film School, our “neighbourhood film school”. This is pretty much the first true avantgarde screening we have had at the Lexi, and we were showing it on one of the hottest days of the year (cinema death!). The Lexi is very much a neighbourhood cinema, not an arthouse, so I was really delighted to see we had about 50% occupancy. I had only seen the film myself for the first time in November 2017 so it was a real joy to have fallen in love with it myself and then to be able to be screening it for the Lexi audience within a relatively short amount of time. So’s intro set Daisies in the context of feminist art history and I had told the film school audience the week before to give the film a chance and think of it as an installation rather than a feature film, so this worked perfectly. As a Club des Femmes collective member, I was privileged to attend several of the screenings to introduce them and/or chair panels with amazing panellists. What struck me about all the screenings was the variety and attentive presence of the audience: in particular, they were truly multi-generational, with some viewers revisiting favourite films (someone at the Lexi had seen Daisies seven times!) and others encountering this cinematic and political history for the first time. This led to fantastic discussions after the event, with an exchange of experiences, questions and ideas – particularly at Broadway, where several generations shared their experience of coming to feminism and how it was changing, weaving in and out of Sophia and Christina’s responses to questions, so it became a genuinely open discussion. That freshness of response – the appetite for the films, the sense of connection to the stories they told (especially the stories about friendship, about women speaking to each other), the recognition of the political and personal urgency in all of the films (see Monica Pearl’s impassioned and beautifully moving introduction to Before Stonewall in Leeds, captured on Facebook video) – is what seems most important to me. All the audiences wanted to stay and talk: whether in the panel discussions, or in the bar. 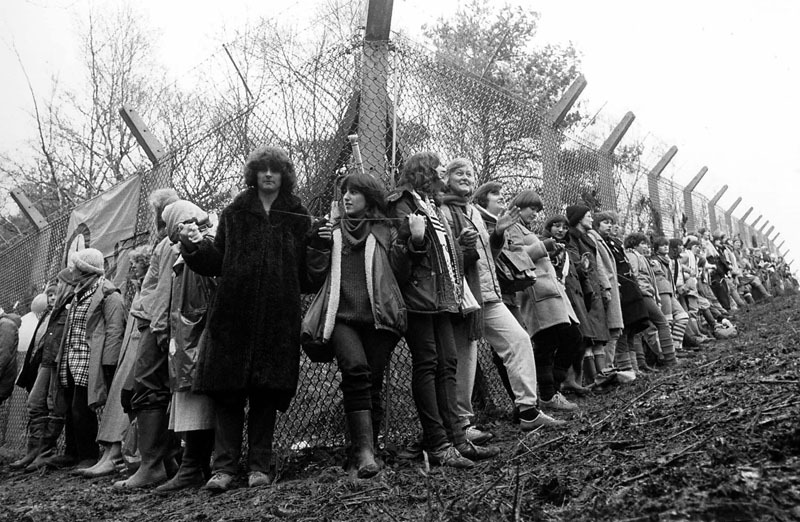 The films demanded opinions, reflections, connections, memories, interjections; mostly respectful and informed, in the way that the films themselves also shape their discourse and dissent (think of the debate about the cheque book in Carry Greenham Home!). It was also fantastic, for me as a curator and chair, to be able to work with so many speakers from so many different angles: filmmakers, artists, academics, programmers, activists, teachers, students. I particularly enjoyed the screening at Chapter Arts in Cardiff. The audience was clearly very different to Chapter’s usual crowd and several were black women or women of colour who were involved in local organisations working with BAME women or children. As someone who has known Pratibha (Parmar, director of A Place of Rage) for several years, and learnt so much from her in a younger sister role, it was really valuable to have the discussion post film with Yasmin Begum and Geneva Varasami. Both young women are in their 20s and based in Cardiff so it felt a bit like being in a big sister role sharing texts from the ’80s and ’90s. 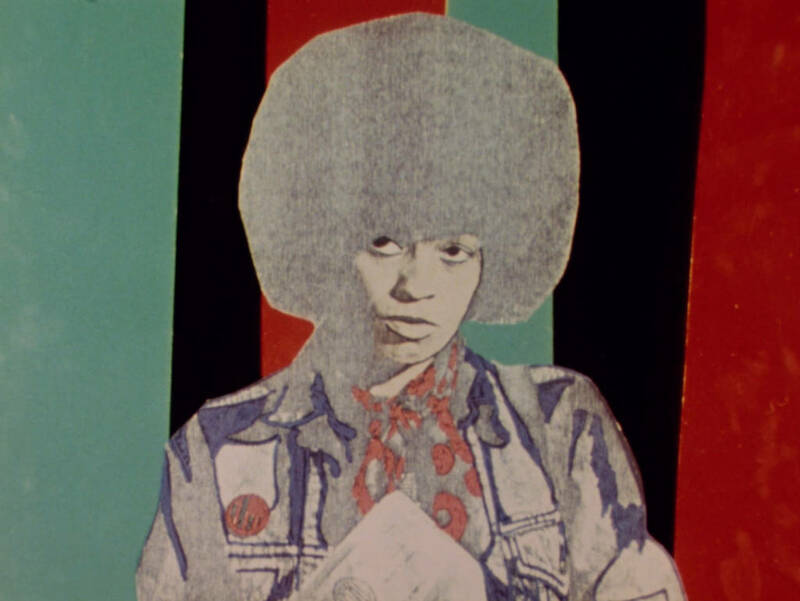 The wonderful thing for me was to discover how much amazing work had been made by women in the ’60s and ’70s that addressed social change and women’s liberation with such innovative and skillful cinematic strategies. I was privileged to discuss the programming with Selina (Robertson) as the programme came together and this inspired me to do a bit of my own research. The programme contained such great range of films from so many countries but retained a unity of purpose and voice. May ’68 was the catalyst, but what came thought was that the women’s struggle existed before and after ’68. 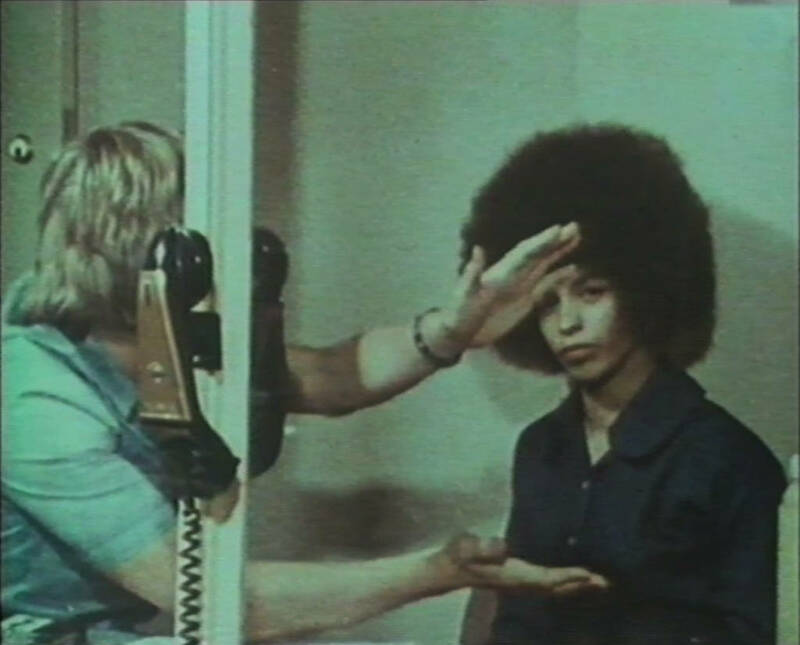 The uprising may have helped these films gain attention and some women used them to support and advance their causes, but the fact remains that this amazing work would most likely exist as part of feminist film practice without ‘Les Eventments’. On a practical note, I loved revisiting The Girls for the introduction at Derby QUAD, and became very interested in Mai Zettering, who doesn’t have the profile that she deserves. I since bought her autobiography and one of her novels so I came learn more about her. The representation of women’s stories and of the possibilities for women’s lives is too often lacking in successful films. Recent examples off the top of my head are The Greatest Showman and BlackkKlansman that have huge viewer value and important political storylines about inclusion and neo-fascism but do not pass the Bechdel test: women in them are secondary characters to men and there isn’t space to explore the meaning of their lives in those narratives. It is so helpful for women viewers to see their desires and interests reflected in stories on the big screen. In a context where there are live introductions or discussions like in the Revolt, She Said tour, the impacts of that context, namely experiences of solidarity or recognition among the audience, are even greater. I know of eight or nine people who came to BFI Southbank just on that evening particularly for the screening of The Cat Has Nine Lives, drawn by the topics the event included and the opportunity to hear the live introduction. Audience members told me afterwards that my introduction helped them to approach the film with knowledge of its context, and that my suggestions of film-theoretical ways of reading it made it easier to access a very experimental and mysterious work. 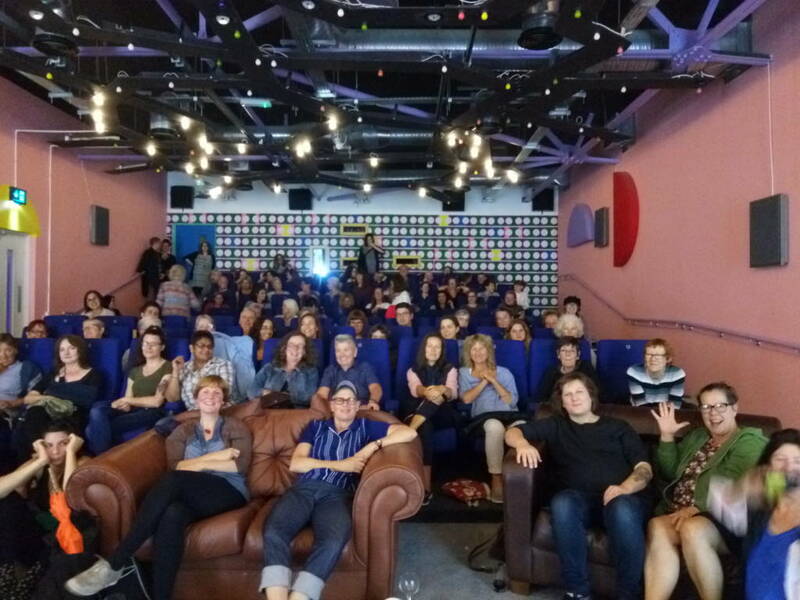 I think the most memorable moment of the tour for me was when I presented the tour to a group of 16-19 year olds on the BFI Young Film Programmers Residency at the Showroom in Sheffield. I was warned that the group might not be receptive to the films (more Marvel fans apparently) and that they might not be super engaged. But even as I was setting up my powerpoint, I was already being quizzed by them about Daisies and Saute Ma Ville (which they had just watched). Only one of the group had heard of Daisies before (from our Instagram!) and it was a genuinely new experience for all of them – given that when I was talking about 1968 they didn’t seem to have much familiarity with Godard. I was really surprised and excited by how many of them jumped in a started critiquing and analysing a film they had only just heard of, let alone seen. After we had talked about Daisies, the tour, 1968 and how Facebook is dead… I hung around and chatted with some of the group and what stuck out to me was how concerned these young people were about the repercussions of the #MeToo movement. They were seeking advice about whether or not to support films made by abusive people, especially around properties like Harry Potter which were important to them but they felt uncomfortable about now with recent casting choices. They also were beginning to encounter the authoritative power of the ‘film canon’ and I felt like I was lending them confidence to reject the film canon. For me, this was a perfect example of why screening films, like those on the Revolt, She Said tour, is important- because they inspired confidence in the audience (and in me) to question the existing and highly problematic film canon. It was fantastic to be a part of Revolt, She Said and to host one of the flagship events – especially with One Sings, the Other Doesn’t as we were preparing for a Varda retrospective. It was important to us to select films that told a variety of different stories and featured various perspectives which the Revolt, She Said menu allowed us to do. What was most memorable was very much the audience’s engagement with the films. Whilst the audience was predominantly female, we definitely saw three different generations of people attend those screenings which was wonderful. Some were discovering those films for the first time, some remembered them from back in the day. At our panel for One Sings, the Other Doesn’t we heard several women express what they remembered of that time and how they were affected by similar political issues as those explored in the film. A few women had come with their younger daughters which was lovely to see. It was also great to give a platform to Pro-Choice Nottingham who introduced the screening and reiterated that organisations like theirs still need to exist today. Generally, people were just really excited to see those films and hear those stories. And I think we have a duty as venues and programmers to build programmes that reflect society and allow audiences to discover new voices, stories, and perspectives on the big screen. Some of those films had not been played for a long time and yet, they do have an important place in film history and it’s fantastic to be able to bring those back, rediscover them and share them with new generations. From speaking with audiences at the time, we definitely had some first-timers in the screen. People who’d come with a friend or family member who had never been to Broadway before. And a lot of people came back too! It was wonderful to be involved with the Revolt, She Said screenings and especially brilliant to participate as a flagship venue. 34% of surveyed attendees for Daisies were new to Watershed, and after our third screening of The Cat Has Nine Lives, one woman told to me it was the best film she’d seen all year. The tour also helped solidify this year’s major cinema narrative, and the recorded panel discussion of The Riddles of the Sphinx led to beautiful and considered comments which you can read here. 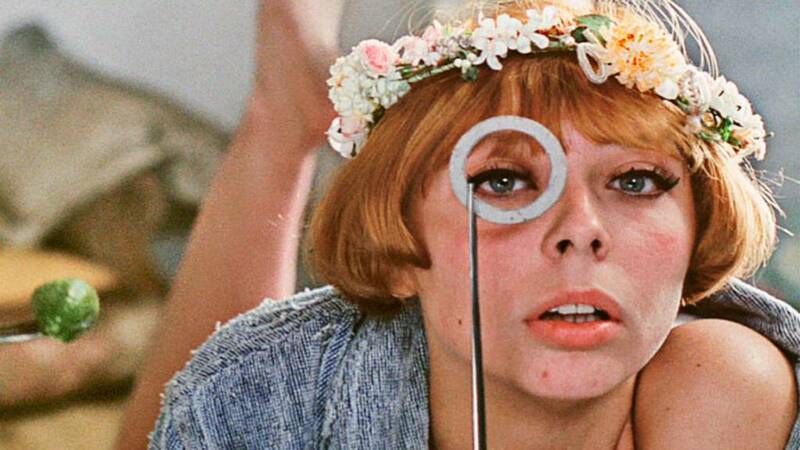 Fifty years after May ’68 it’s almost shaming to watch these radical films full of hopeful imaginative push-back against the post war status quo and know that when we step outside the cinema we step back into the Trumpy world of division that is the present. What better time though to revisit the works in the Revolt, She Said tour to re-energise our understanding of cinema as a revolutionary space of thought and to re-engage with the ideas and ingenuity they reveal. My best moment was watching the very start of Ula Stöckl’s The Cat Has Nine Lives. A woman drives to meet a friend from another country who’s arriving at the station. She stops en route to buy her friend flowers so she can greet her with them as she steps off the train. Friendship between women. Friendship between nations. The excitement of exchange. The film is a vision of the possibility of Europe as an open landscape where the differences between people can help shape new thoughts and initiate new ways of being. That’s what this film’s all about. Potential. Potential created by women. This tour has been about making connections. Vital important connections. When we started Club des Femmes we were ambitious to network people across London. This tour has taken Club des Femmes right around the United Kingdom for the very first time and has opened the cinema as a space of dialogue. What a gift this has been. A timely gift of vision and potential. It was a delight to participate in Revolt, She Said with screenings of One Sings, the Other Doesn’t and Daisies with an intro from Club des Femmes’ Selina Robertson. For me, having watched both films on the small screen, it was (as ever) a revelation watching them on the big screen with an audience. So much better all round with better picture and sound and, of course, the shared reaction, particularly for Daisies, laughing with others. I was disappointed our audiences were so small (23 for each), but they were very hot nights. But the joy was that our audience spanned from 20 years of age to 80, so a glorious span across the ages. One of our Young Programmers (and a writing volunteer) came to both films, and I introduced my daughter to Agnès Varda, so those were personal achievements. When Sarah (Wood) and I co-founded Club des Femmes over ten years ago could we have imagined to have been able to contribute to a national conversation about feminism and film? I’m not sure! Although Revolt, She Said was framed around 100 years of Suffrage and 50th anniversary of May ’68, the contemporary discourse around Time’s Up, #MeToo and women’s struggle in the film industry impacted the phenomenal response to our season as we saw that cinema programmers, curators and audiences had a real engagement with our films and their historical and contemporary contexts. The most rewarding aspect of the tour was collaborating my wonderful Club des Femmes co-curators – So, Sarah and our newest member Jenny as well as receiving brilliant programming advice from Helen de Witt. Working side by side with the ICO was a fantastic experience as well as with all the brilliantly smart and talented film programmers, curators and panellists in cinemas across the UK. We had the ambition and this was matched tenfold by enthusiast and inquisitive multigenerational audiences. Personally, it was special to be able to take a Club des Femmes favourite Carry Greenham Home on tour on a new DCP and respond to the post screening discussions and debates about gender and addressing power (I wish I could have been at the Star & Shadow screening!) – also to be able to include Pat Murphy’s Irish experimental feminist drama Maeve which is a film that had barely been written about and hardly seen since it was made in 1981 – we fought hard for it to be included in the tour and were rewarded by welcoming Pat to the Rio in August. That screening felt very special as it acted as a reunion of sorts for the filmmakers involved as well as for the many women who were active in London culturally and politically throughout the 1980s. As soon as Maeve joined the tour in August, the response from cinemas wanting to book the film was just fantastic. 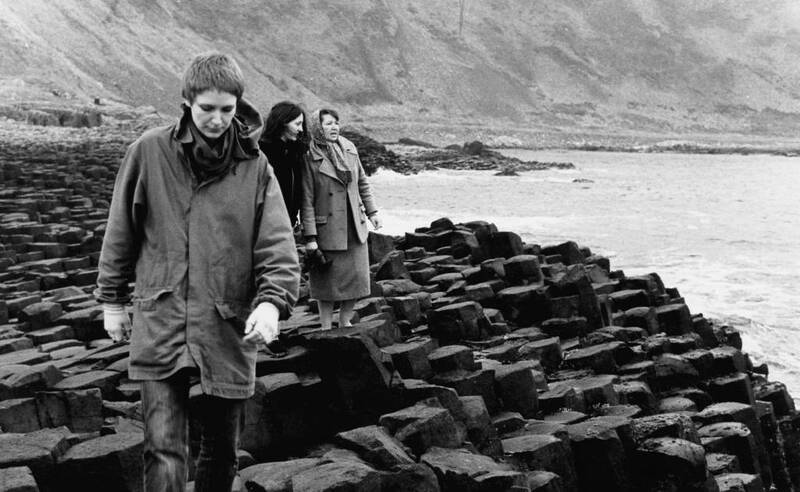 Because 2018 marked the 50th anniversary of The Troubles, the success of Irish Abortion referendum, Brexit and the consequences of a hard border, it quickly became apparent why it is so important to remember – and to explore why and how we remember feminist film and social histories and represent these histories in the present. As we see time and again women’s film histories continue to be written out of the cannon, they remain absent or “lost” – and if they do resurface then often for a short time. Revolt, She Said was about collectively (re)sharing these stories in the cinema reminding film programmers, curators and audiences that women have been at the forefront of making revolutionary cinema since and before 1968 – and there is a rich history of queer and feminist film programmers, critics and scholars who have been championing and bringing these films to audiences. Our job at the ICO is to make sure that everyone sees themselves reflected on cinema screens, so a tour that celebrated women filmmakers and their work, particularly in light of May ’68 and contemporary discourse, was a really exciting proposition. We have been lucky enough to have both Sarah and Selina work at the ICO and So has been a speaker on many of our courses, so when the opportunity arose to collaborate with Cdf as a collective on this project, we jumped at the chance. Key to this tour was ensuring that there would be DCP copies of a number of previously unavailable films so future audiences could experience some of these amazing stories on the big screen. It was also nice to bring some lesser-known but absolutely seminal titles to a wider and younger audience. My personal favourite was Hairpiece, a film I first saw over 25 years ago. It still resonates today in terms of its themes but is as fresh and funny as ever. The legacy of Revolt, She Said continues: you can explore the brilliant zine created bu Club des Femmes and book the new DCPs of Carry Greenham Home, Before Stonewall, A Place of Rage, The Riddles of the Sphinx and Maeve that were created for the tour. 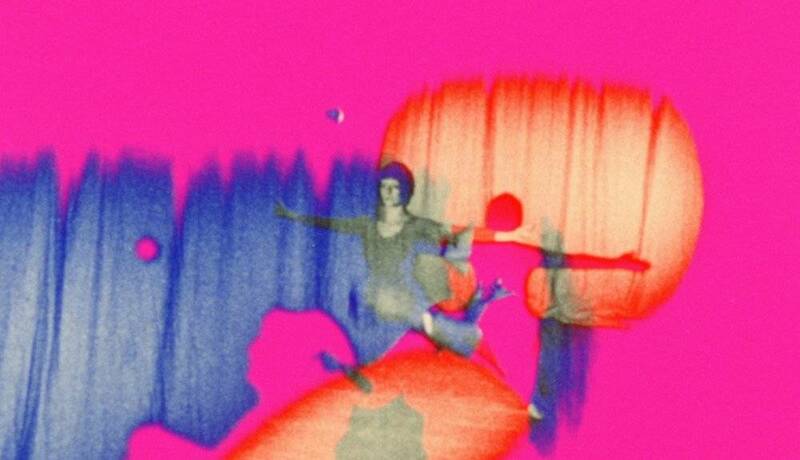 For upcoming film programmes by Club des Femmes, please check their website here. In addition to everyone who kindly gave their time and words for this blog, the ICO would like to extend their heartfelt thanks to our partners Club des Femmes (Selina Robertson, Sarah Wood, So Mayer, Jenny Clarke and guest curator Helen de Witt), the BFI Audience Fund for supporting the tour and all our partner venues across the UK. The feminist revolution isn’t over!